You may or may not have noticed some radio silence around these parts a couple of weeks ago (although you can always find me on instagram)! The reason — I was on vacation in Maui, Hawaii with Jesse and his family. 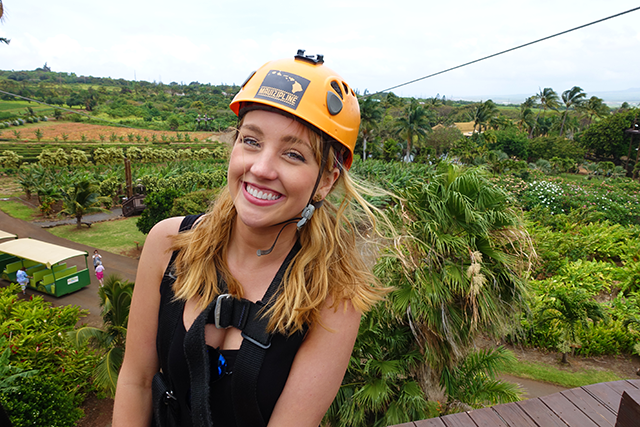 I had never been to Hawaii before this trip and I fell in love! I was so thankful they included me on their family vacation and I really hope I get the chance to visit again soon. 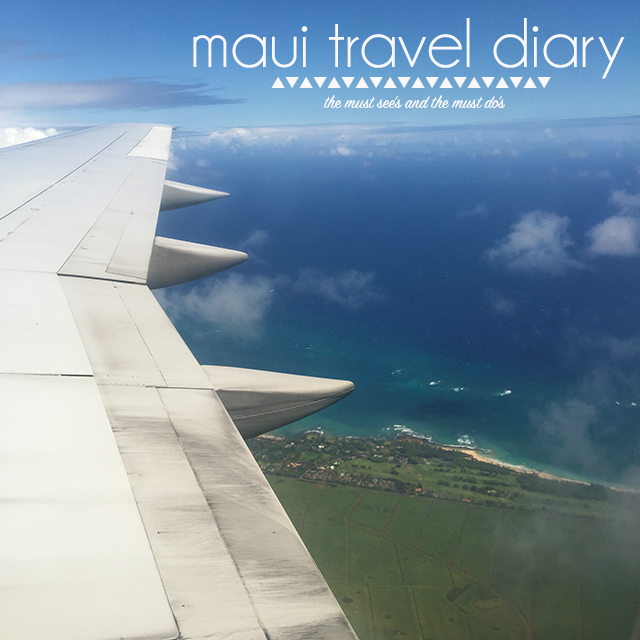 I thought I would share my travel diary for any of you who might be visiting Maui soon, or are thinking of planning a vacation! 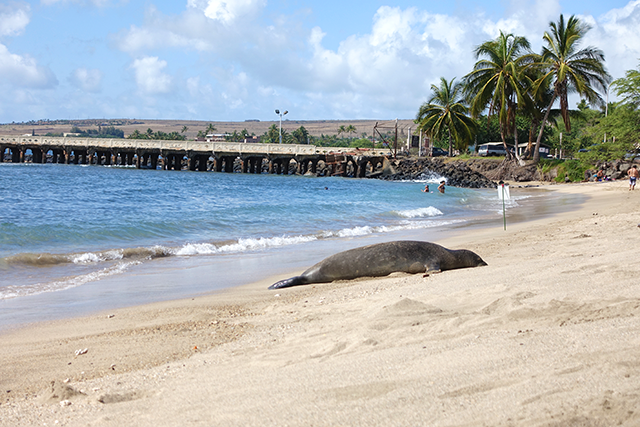 There is so much to see and do in Maui, and not enough time, so if you have any recommendations yourself please post them in the comments below! 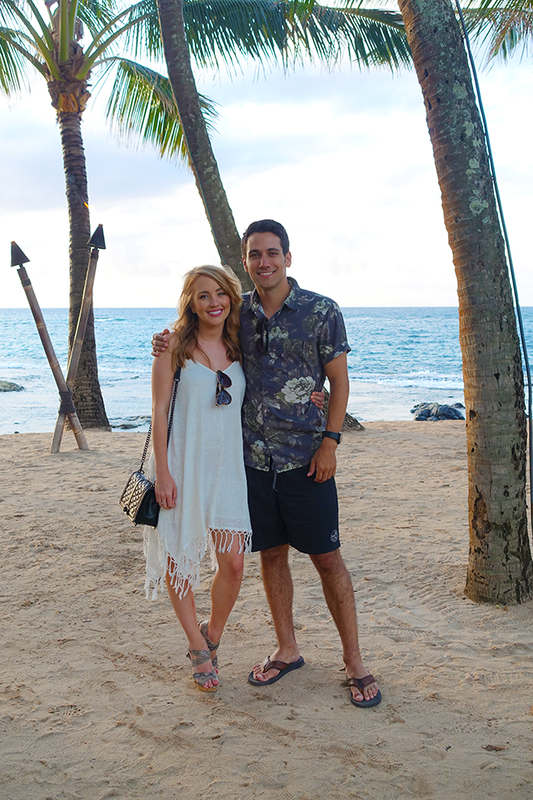 We had our last dinner here on our last night in Maui, and I’m so glad we did. Every article I read on Maui pre-trip said it was a must, and there’s not a local we spoke to who didn’t insist we had to eat there at least one night. 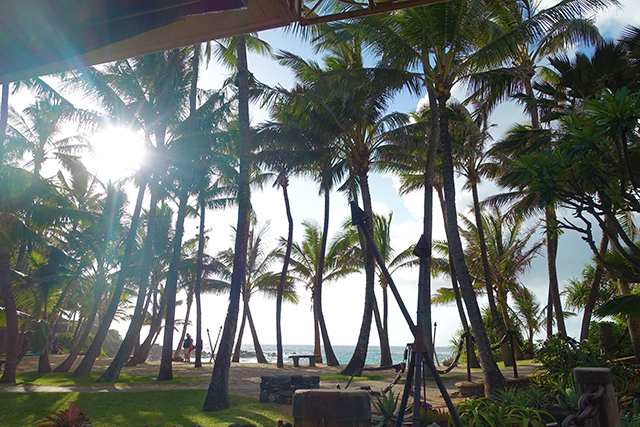 This restaurant bears a spectacular view of a practically private beach. I would suggest making reservations early on and request a table by the beach because they book up extremely quickly. All of the fish is freshly caught and is probably the best fish I’ve ever had. 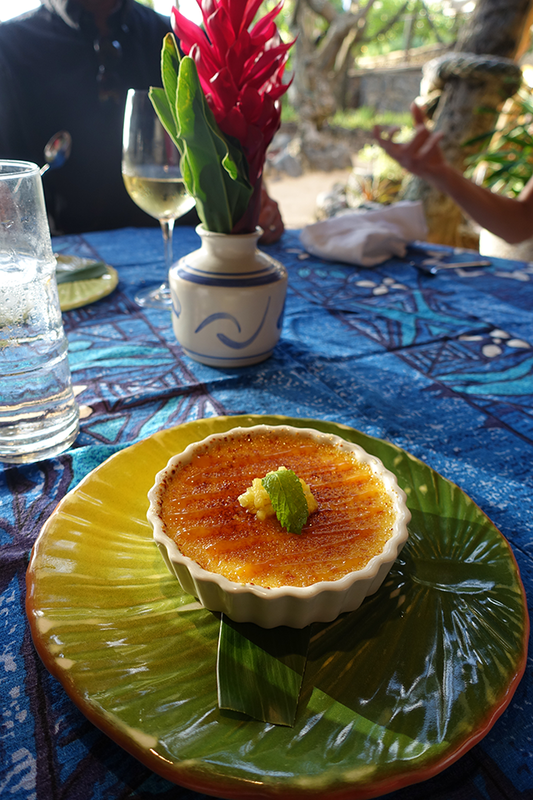 I do have to take a moment to mention their Liliko’i Creme Brûlée which by far the best Creme Brûlée I’ve ever had, and I’m pretty sure the whole table agreed! 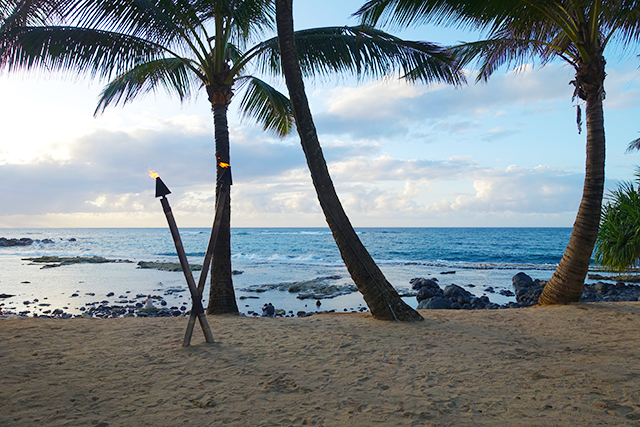 After dinner you have the most perfect beach spot for photos with your family or loved ones. I can’t say enough good things about this place, so if you pay the island a visit, make sure you check it out! Jesse’s brother loves to fish and he was gracious enough to plan an entire day of fishing for us while we were there. To be honest, the idea of fishing makes me kind of sad and while we caught a fish and I was happy for J’s brother, it was a little more graphic than I had expected. 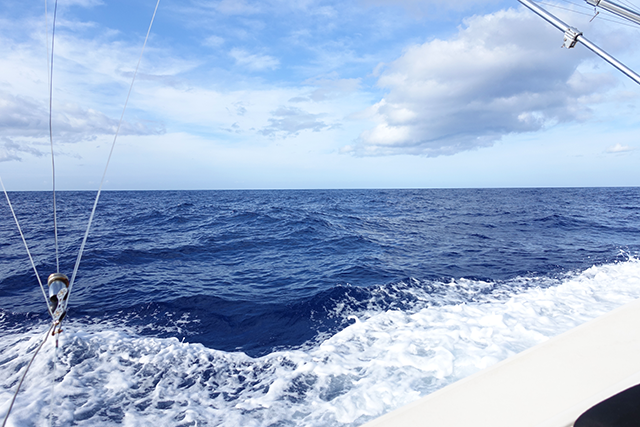 That being said, we accomplished what we came there to do, and while I wasn’t participating in the fishing aspect, it was amazing being on a boat all day and getting to see the islands from another angle. We were lucky enough to catch the sunrise from the boat which was one of the most beautiful sights I’ve ever seen. This is definitely a trip to look into if you have any fishing enthusiasts with you! 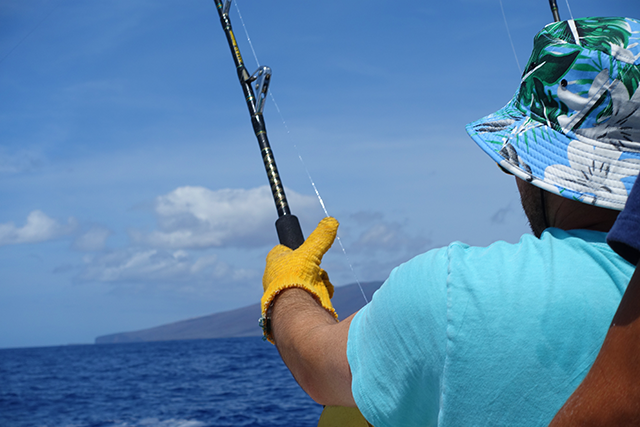 Even if you don’t participate in the fishing, being on a boat all day on one of the most beautiful oceans is a perfect way to spend the day in Maui. 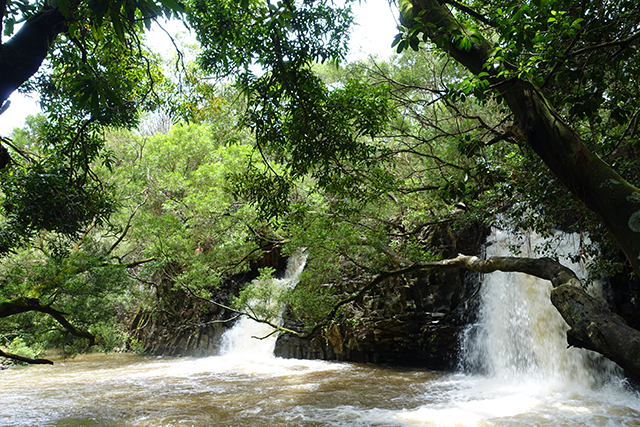 We didn’t have an entire day to do hiking so we picked two hikes that were short and relatively easy. These are both very beautiful, but also very short. 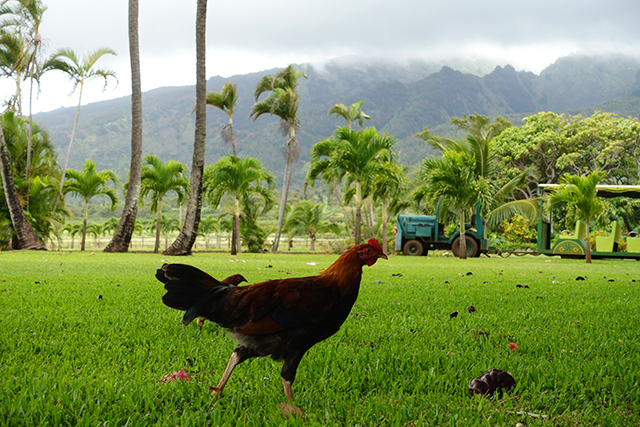 They are also on the Road to Hana, so if you do that, you will have the opportunity to stop and check them out. We spent an entire day here and it was not difficult to do! There’s a huge historic tree in the center of downtown and they had a little market set up with local shops. Then we walked around the shops (there’s so many!) and spent some time down at Baby Beach. I highly recommend checking out that beach if you’re in the area. The views are incredible and we even saw a seal lounging out of the water. 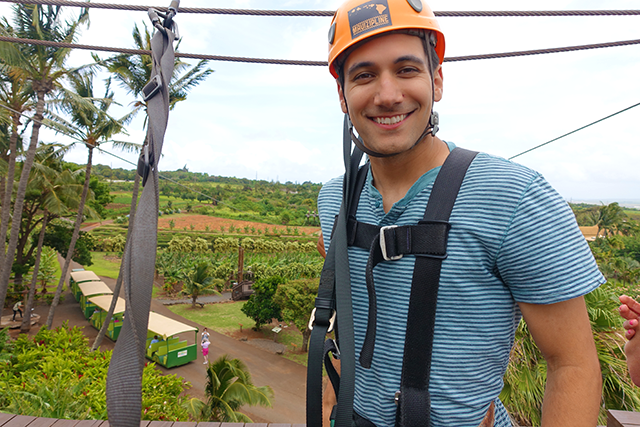 One of the days was not so sunny so we thought it would be perfect to do something like zip lining! 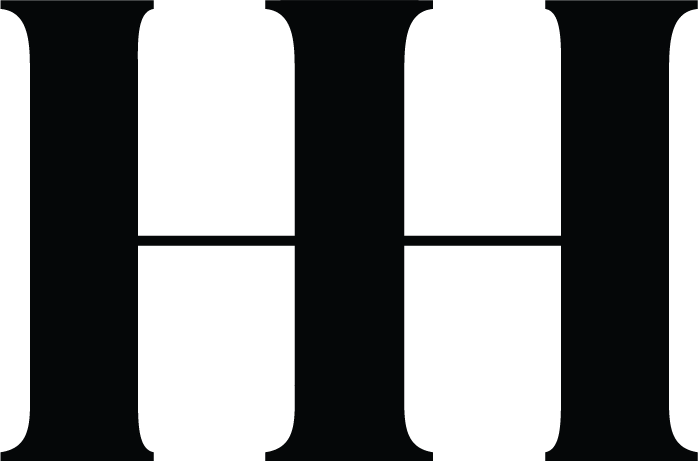 We all had a lot of fun- the employees were super friendly and made it really enjoyable. I will say it’s very family friendly, and I think we were all expecting something a tad bit more challenging. 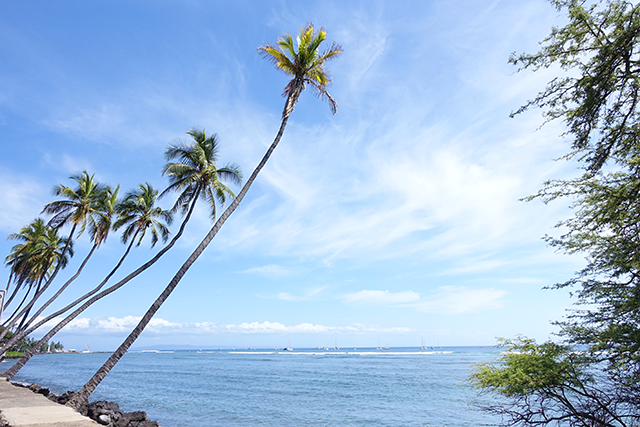 Monkeypod in Kihei, HI – This spot is super trendy with delicious food and has the best Maitai you will ever have. 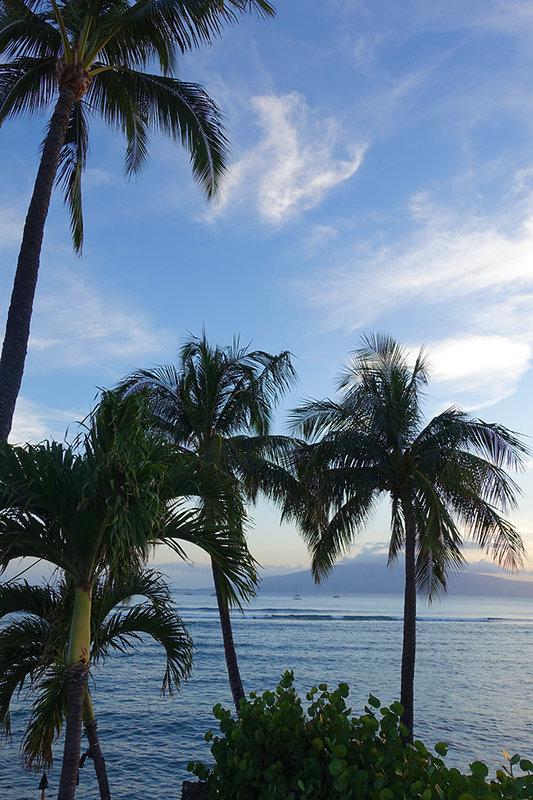 Kimo’s in Lahaina, HI – We got to watch the start of a beautiful sunset with an ocean view here. The fish was delicious and the service was great. Cafe O’Lei in Kihei, HI – We had lunch here (I got the shrimp, avocado & papaya salad). It was fresh and delicious, but no ocean view. Sansei in Kihei, HI – Three words; Late Night Menu. Jesse and I napped through dinner one night so we decided to come here since they were open late. Sushi is 50% after 10PM and they have karaoke. Most entertaining night by far. 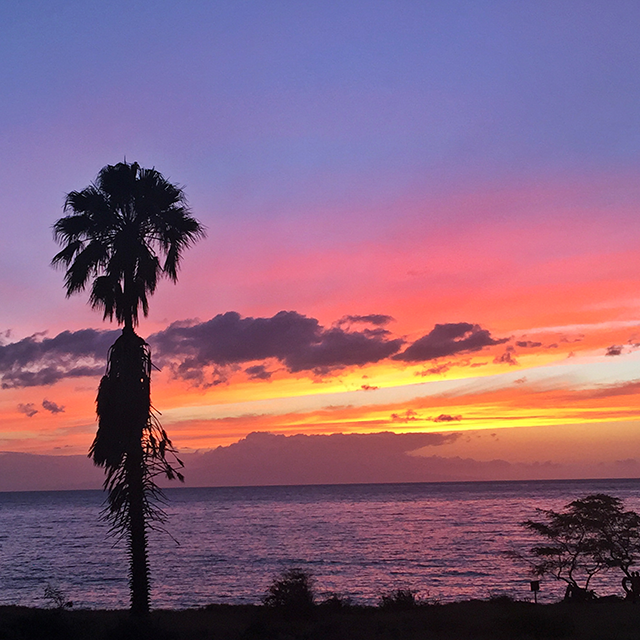 By far, the number one must in Maui is to watch the sunset as many nights as you can. You will see people lining up at the waters edge every evening to watch the sunset because it is just that gorgeous. 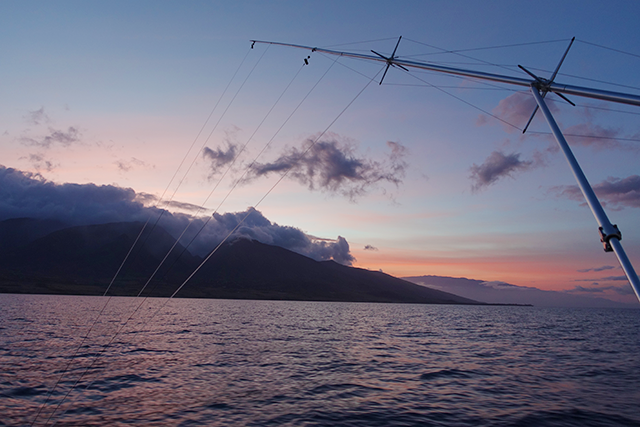 We get some stunning sunsets in Orange County, but they have nothing on Maui! Hope you guys found this insightful, and as I said earlier, please leave your Maui suggestions below, and if you visit any of these places let me know. sound and looks like you had an amazing trip.